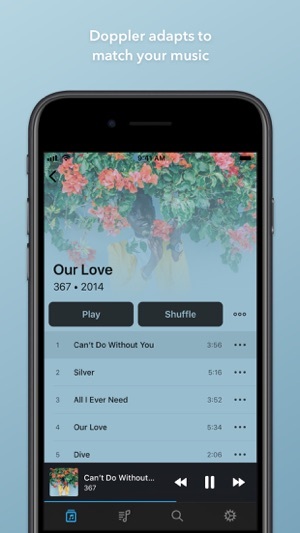 Doppler is a new, beautifully designed music player for iPhone. 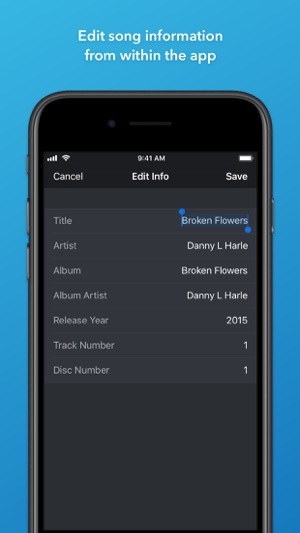 Import your music and playlists into Doppler to experience your library in a stunning new way. Doppler's design adapts itself to match your music, and offers quick access to your now playing queue. 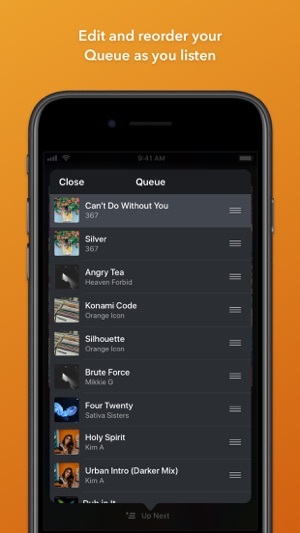 Doppler automatically imports new music when you open the app to ensure you always have your full library. Please note, Doppler is not able to import your songs or playlists from Apple Music. 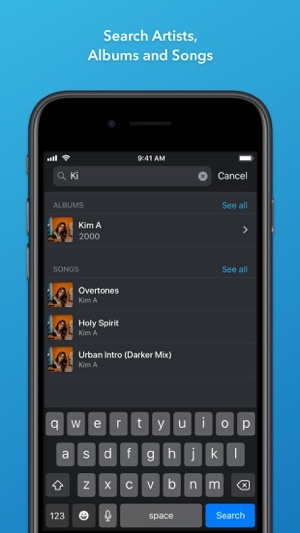 If you've come to dislike Apple's changes to the native Music app, you may or may not enjoy Doppler's approach; its strengths being that it just shows you a list of artists in your library, playlists, and search, along with a Now Playing bar which allows for skipping tracks/pausing, it's weakness being that it omits the essentials we've come to expect from our iTunes database - Star ratings and lyrics. Saying that, being able to import from Safari with the extension is something I have wanted to see in a third-party app for a long time now, and I would love to see it extended to include archive (ZIP) support. My own personal gripe is that it lacks shuffling of one's entire library. You're expected to know exactly what you want to listen to when you open the app, which is not always the case. This app has a really clean UI and it allows you to import songs from other apps which comes in really handy if you have mp3 files but no computer access. Three things would like to be added is download from link and a lighter interface and song scrubbing from the lock screen and control center... but other than that I really enjoy using the app! 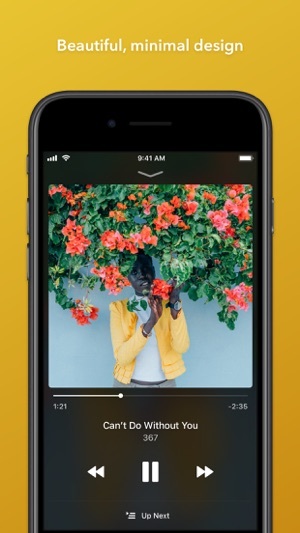 You get your 5th star when we get music scrubbing from lock screen. EDIT: Thanks for adding the scrubbing feature...Now how about a repeat button? 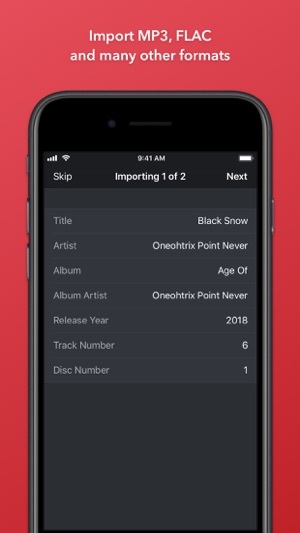 I saw this publicized on YCombinator (Hacker News) and it was billed much the same as it is here: an offline music player you can import your music into. However, there is no way to import music other than automatically importing your iPhone's music library, which in my case was just podcasts. I was hoping to manually install my Bandcamp songs from my computer, perhaps over SSH, FTP, USB, web interface, what have you. I felt based on the description here that that was possible in some form, but it is not. I advise the developer to modify their marketing copy to be less ambiguous or add functionality to make it accurate. Additionally, there is no deletion mechanism. Hey there! Thanks for taking the time to share your feedback! I'm really sorry to hear you feel misled. You're correct that Doppler currently only supports importing music your existing music library. The functionality to be able to import any mp3, wav, flac, etc. file is coming very soon and I'm expecting it to be available for everyone within a few weeks. If you'd like to give feedback on the new version before it's released, please send a quick email to appstore@brushedtype.co and I'll be happy to show you what's coming soon. Sorry again for the confusion. Thanks!